Ohh dear a few of the Tim Holz distress stains fell into my basket last week . So, I made a few more backgrounds for cards with the new ( and old colours) . 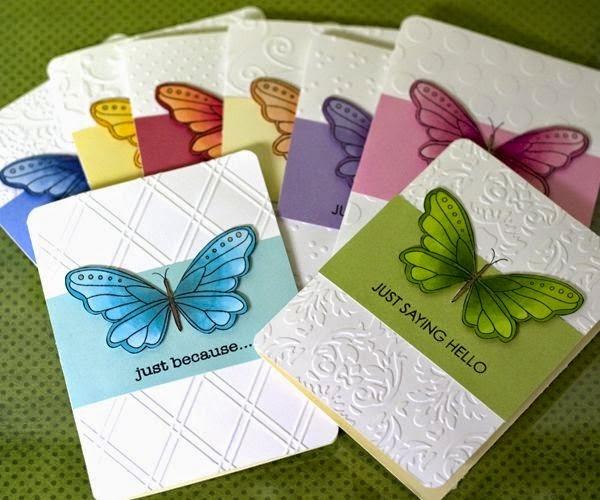 I have become obsessed with finding the perfect butterfly stamp too- A few of those have also fallen into another basket . I am looking forward to them arriving in the post over the next week or so. 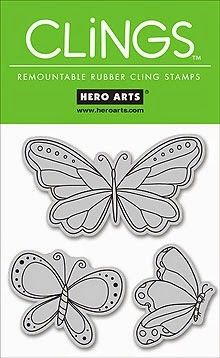 I still havent been able to find the Hero Arts Cling Stamp over here in the uk and this is annoying as i have seen some gorgeous examples on Pinterest. So if anyone has seen these in the uk, please can you let me know. This stamp is from a set I bought a few years ago when I was making those magic boxes and i think is from Lavinia stamps. The sentiment is a sizzix thinlets die set that I got in the sales recently , I added some glossy accents to it. 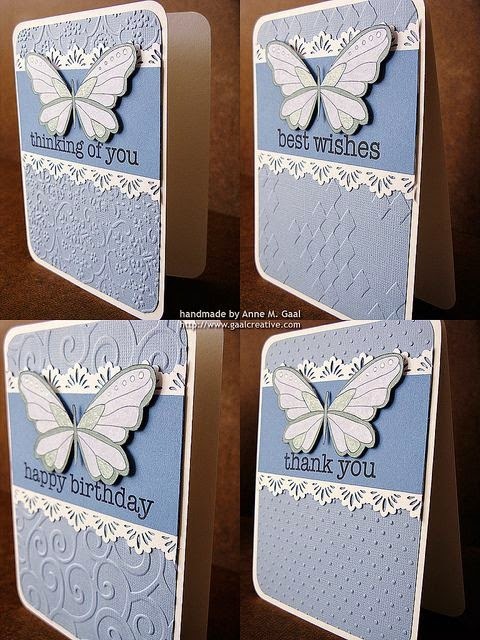 What a lovely card, really beautiful. Lovely card Sue. The colours are super.